As a business owner in North Canton, there is no doubt that you have seen the shift of marketing. From mailings to local newspaper advertisements then to the need to have a website. Now you hear rumors of the growth in mobile device usage and the complete, utter necessity to have a website that can handle the Mobilegeddon transition. With all that you juggle, between inventory reports and employee management, my hope is that Sanctuary Marketing Group can be a helping hand in your digital marketing efforts. For that reason, this is what we have been learning about mobile marketing. 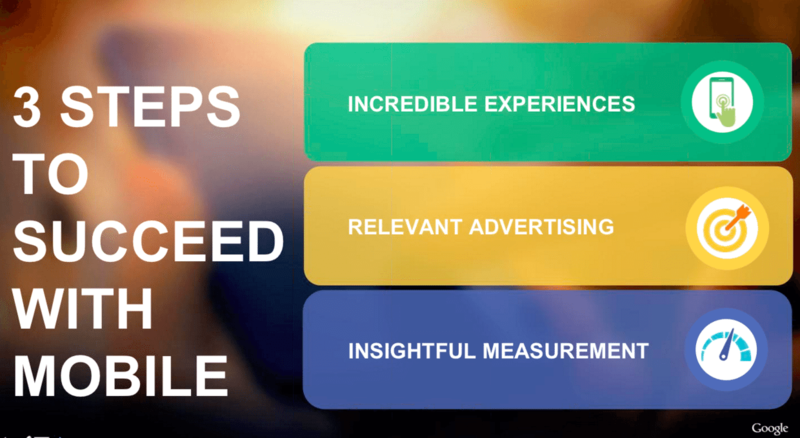 Most of this will be directly tied to a webinar offered by Marin Software and SocialMoov, but I’m boiling it down you can understand and hopefully apply these mobile marketing insights. Here we go! Turned off my phone’s alarm clock. Texted my brother (all of that before getting out of bed). I used the timer on my phone to know when to finish my french press. I checked my bank account. …and it is not even 11:00 AM! Neni Pogarcic (Global Search Lead, Google) pointed out on the webinar that this is not an atypical morning for those of us going about our day. Not only that, but most of this can be done without even touching a computer. With that in mind, how are you going to appropriately reach the many who traverse their morning without touching traditional Google search or a desktop computer? The next question, beyond reaching those individuals, is how are you going to provide means for them to convert? 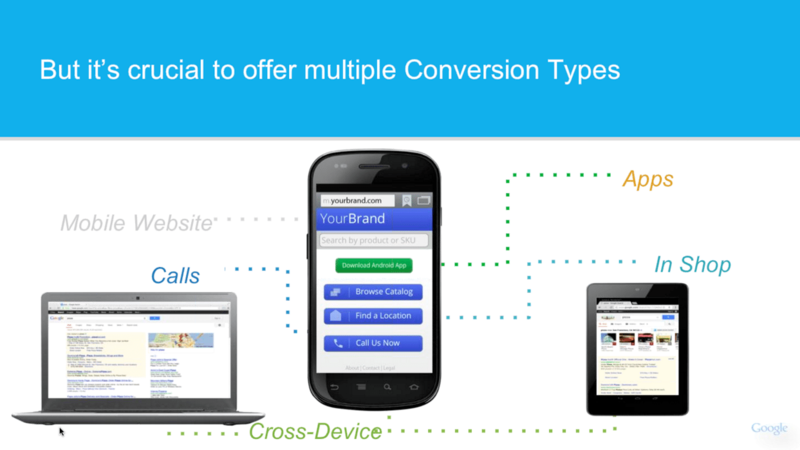 Device conversions, particularly in the world of digital marketing, used to be computers only, but think through all the conversions that take place on your phone now. Think for a moment, how many devices have you used today and how many conversions have taken place? 98% of users say they are cross-device users throughout the day. Users quickly bounce between websites, tablet apps, and smartphone notifications. Are you, as a local business owner, catering to the next generation of buyers? Can My North Canton Business Win the Mobile War? While many understand that the desktop version of your website should include as much detail as possible, Google has spent a lot of time recently on spelling out the absolute best mobile design for websites, especially for businesses. Google has business owners ask questions about how close together your website’s buttons are, how wordy your pages are, and how usable your mobile website is? You can learn all about that in our summary of their updates — basically, ask yourself how easy it is to use and convert on your website? We’re here to help if you need any suggestions or work done. Just let us know your need help! Advertising should always aim to be relevant, but when you’re seeking to land on a mobile device it has to be all the more fine tuned. Do you know your audience and do you know how to reach them? Marketers have mere moments to reach individuals when they’re using their mobile devices (Google calls this Micro-Moments). Are you providing the absolute best imagery, copy text and advertisement destination URLs for your audience? If you are not appropriately measuring your efforts and providing insightful reporting, you might as well put a stop to all that you are doing. By putting the proper measures in place, you can use the results (whether positive or negative) from your efforts to refine future efforts. This is a very brief summation of notes from the webinar The Path to Mobile Success, hosted by Neni Pogarcic (Global Search Lead, Google), Luca Angeli (Analytics Manager and Bidding Optimization Specialist, Marin Software) and Hoiling Wong (Product Marketing Manager, Marin Software). The team at Sanctuary Marketing Group is available to help answer any questions that you have about Mobile Marketing.